Groundbreaking Percussionist From Electronic Pioneers KRAFTWERK Releases Anthology Of Recent Works! 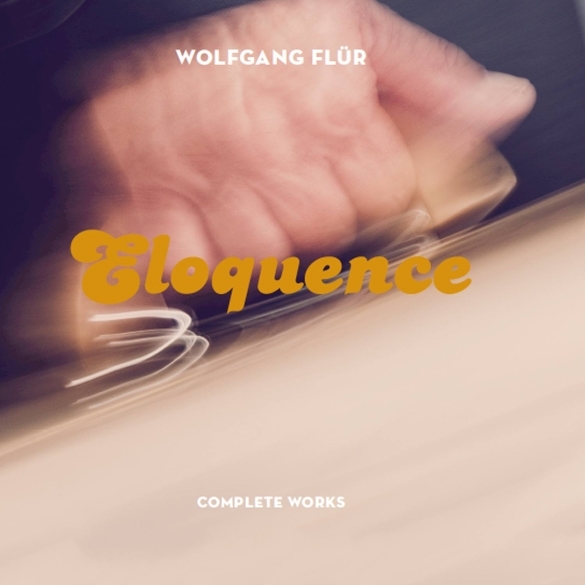 Los Angeles, CA – As the electronic percussionist during Kraftwerk’s peak of creativity, Wolfgang Flür’s place among the pioneers of modern music is assured. Kraftwerk’s computerized rhythms and deceptively simple beats, which produced such classics as “Autobahn,” “Showroom Dummies,” “Trans-Europe Express,” and “The Model,” made them one of the most influential bands of the 20th century. But Flür’s influence extends even beyond his creative musical talents to include his technological gifts as exemplified by his co-inventing of the first ever electronic drum pad, alongside Kraftwerk founder Florian Schneider, which Flür put to good use both in Kraftwerk’s stage show as well as studio recordings. Now, a new collection of Flür’s solo recordings from the last decade is about to see release in the US on Cleopatra Records October 30. The collection, entitled Eloquence, kicks off with the highly autobiographical track “I Was A Robot,” which hit #6 on the German club charts upon its initial release in 2004. Immediately following is a stunning quasi-sequel to the Kraftwerk classic “The Model” called “Cover Girl.” In contrast to the cold, calculating compositions of his former band, Flür’s solo work is densely layered and veers more toward the warmth of house music with the catchiness of techno. This collection also features a number of prominent guest producers including Nitzer Ebb’s Bon Harris and Meat Beat Manifesto’s Jack Dangers as well as Pizzicato Five vocalist Nomiya Maki. Kraftwerk fans and anyone looking for some superbly crafted electronic music will not want to miss this exciting release.